Introducing sugilite, the bringer of hope. A relatively rare stone and only recently discovered, sugilite’s lovely colour and glowing metaphysical qualities have made it a much sought-after gemstone the world over. Sugilite is a complex microcrystalline silicate comprising of manganese, aluminium, iron, potassium, sodium and lithium. Named after its discoverer, Ken-ichi Sugi, it was first identified on the island of Iwagi, Japan, in the form of fine granules. But the most significant source of sugilite is the Wessels mine of South Africa, where it occurs in the manganese-rich igneous rock. In the 1970’s, during excavation of manganese ore approximately 1000 metres below the surface, the first deposits of sugilite were exposed. About 10 to 12 tonnes were extracted from that deposit, and since then it has only ever turned up in small quantities. 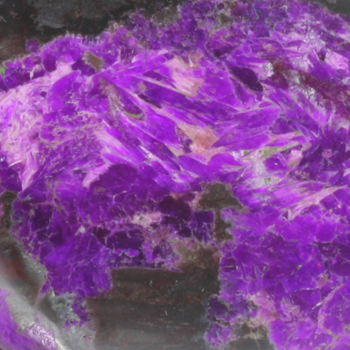 Sugilite forms when silica-rich hydrothermal fluids impregnate manganese ore and crystallize. It is the manganese that is responsible for sugilite’s purple colour. 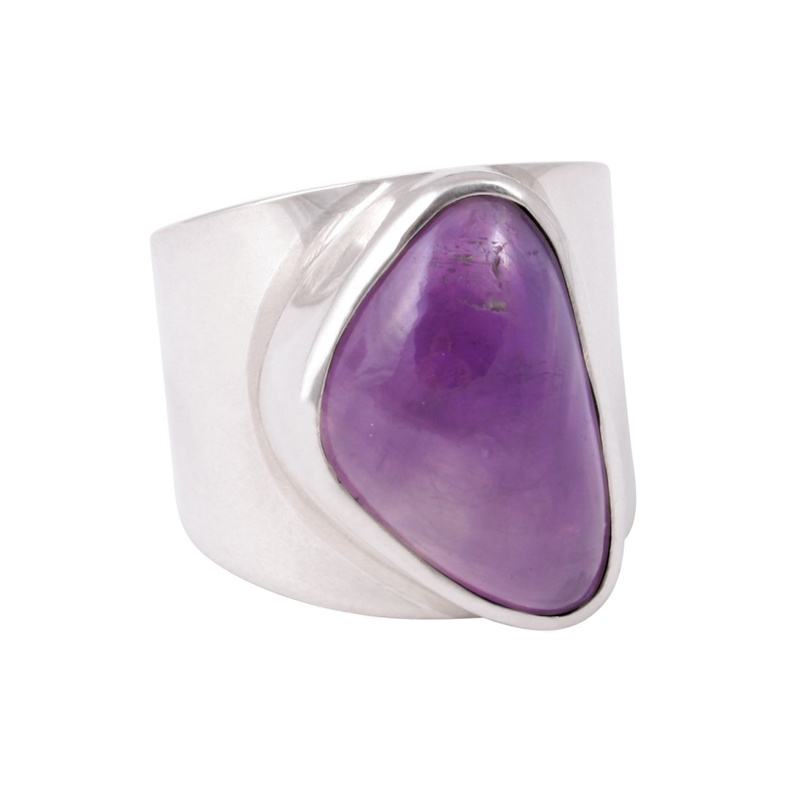 The shades of purple can vary significantly, depending on the presence of chalcedony or other silicates in the mix. The most prized specimens are an intense, translucent purple, which is referred to as “gel”, but this grade of sugilite is very rare. More commonly, it is opaque and found in varying shades of lavender, mauve, pink, violet, reddish purple, magenta, bluish purple and even blue. 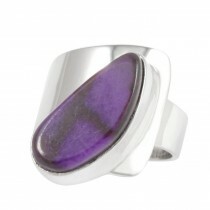 Occasionally it even appears with spots and rings of purple, earning itself the name, leopard skin sugilite. Orange-pink hued blotches in sugilite usually mean the presence of a related mineral named bustamite. Sugilite is a stone of Hope. It helps us to remember and reclaim our heart’s desire. It revives our dreams and aspirations, and instils in us the optimism and courage required to pursue those dreams and aspirations. When we are bogged down in negativity or harbour a sense of hopelessness, sugilite helps us to believe in the possibilities again. Not only does it lift us from our own negativity, it is said to also protect us from negative influences in our environment. Sugilite opens the crown chakra, allowing the grounding of higher spiritual energies. It is also attributed with opening the heart chakra to spiritual love. To interpret sugilite’s qualities from a higher spiritual perspective, one could say that it helps to bring us back to our original true selves, and prepares us to fulfil our original spiritual purpose. As a dreaming aid, sugilite is said to enhance ones dreams and visions, making them more lucid and easier to remember. It is also attributed with relieving pain, particularly headaches, and is considered a powerful healing stone. Sugilite vibrates to the numbers 2, 3 and 7, and relates to the astrological sign of Virgo.